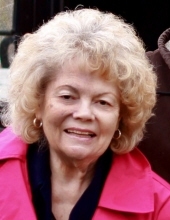 Roberta Jane Bruner age 80 of Willow Hill passed away Wednesday, February 20, 2019 at HSHS St. Anthony Memorial Hospital, Effingham, Illinois. Funeral services celebrating Jane’s life will be held at 11:00 a.m., Saturday, February 23, 2019 at the Crain Funeral Home, Newton with Pastor Eber Whitehurst officiating. Visitation will be held from 9:00 a.m. until time of service in the funeral home. Burial will be in the Mound Cemetery, Willow Hill, Illinois. Roberta Jane was born on May 10, 1938 in Olney, Illinois the daughter of James R. and Ethel Faye (Dougherty) Holm. On April 20, 1954, Jane married Charles Edward Bruner, Sr. He survives. Jane was a loving wife, mother, and homemaker. Having a love of education and great empathy for others, Jane entered Eastern Illinois University to study counseling. She completed her studies, earning a master’s degree in counseling and education. For many years, she worked for South Eastern Family Counseling and the Family Counseling Center until her retirement. Jane was a member of the Shiloh Christian Church, the American and Illinois Counseling Associations, and the American Legion Auxiliary. For many years, she was the church pianist and enjoyed singing alto for church specials. Jane enjoyed attending auctions and collecting everything from beautiful glassware to musical instruments. Roberta Jane will be loved and remembered by her husband of sixty-four years Charles S. Bruner, Sr. of Willow Hill; sons Bruce Edward (Debbie) Bruner of Peoria and Charles E. (Ruth) Bruner, Jr. of Huntington, IN; daughter Pamela R. Miller of Charleston; grandchildren Jeremy (Yvonne) Dunlap, Joshua (Mindy) Bruner, Tabitha (Jason) Adams, Brian (Carrie) Miller, Lee Miller, Brandon Catt, Joe (Rachel) Bruner, Mike (Candy) Moore, and Dan (Robin) Moore; nineteen great-grandchildren and one great great-grandchild; siblings Robert Dougherty Holm of Florida, Mary Joan Holm (Rex) Ammerman of Bloomington, IL and John Milton (Chris) Holm of Morton, IL. Memorial gifts may be made to either the Mound Cemetery Care Fund, Shiloh Christian Church or to the Crawford County Humane Society. To plant a tree in memory of Roberta Jane Bruner, please visit our Tribute Store. "Email Address" would like to share the life celebration of Roberta Jane Bruner. Click on the "link" to go to share a favorite memory or leave a condolence message for the family.